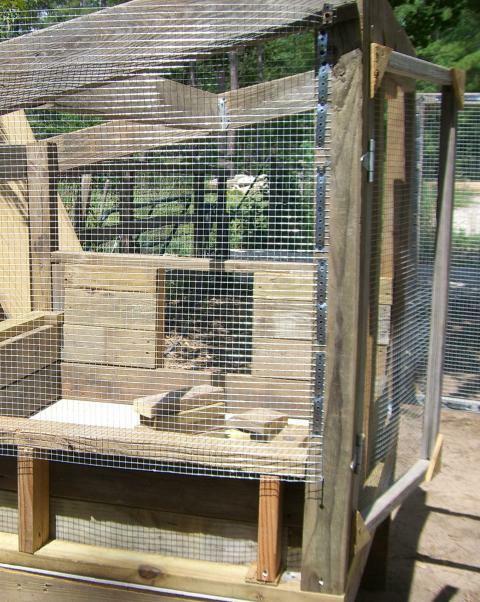 Here on Chicken Lytle's ranch, the chickens are provided with the utmost in luxury that scrounged materials and improvised construction can manage. We now have two chicken coops and a brooder cage. Oh the chickeny joy! The main chicken coop is 4x14. It was constructed from a piece of deck that was chopped off during demolition. A couple of hired hands built it as my chickens watched anxiously from a tractor. The lower half is wood. The upper half is farm fence. The roof is shingled ineptly. It has a cool pop door that slides in a channel. It has a people door that allows you to go inside. 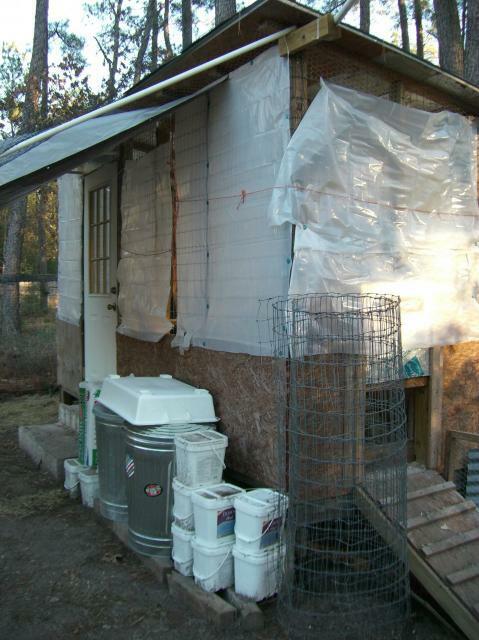 I added poultry netting, shade tarps, and plastic sheets for winter weather protection. I even removed the internal storage room. The most important lesson I learned was to use screws instead of nails. When you need to change things around, screws make the job much easier. 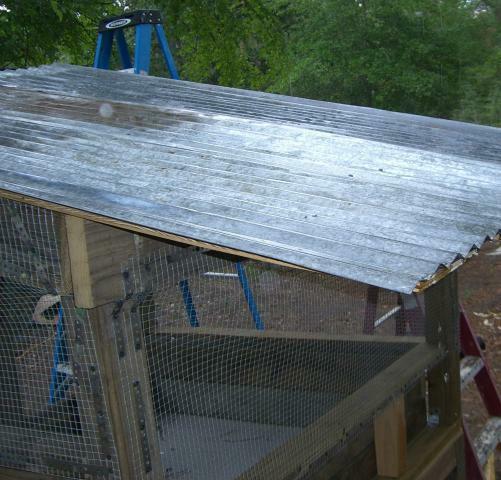 The small coop was started by two likely youths, but finished by Doc and I. 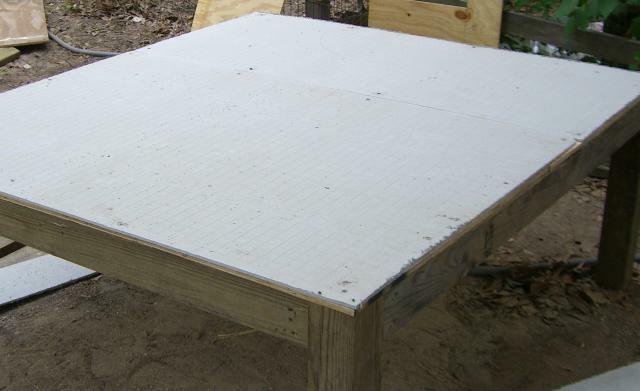 The base supports a floor that is finished with tile backer board. The lower walls are salvaged 2x6 boards and the upper walls are hardware cloth attached with plumber's hanger tape. The roof is corrugated sheet metal. I really liked the way the plumber's hanger tape worked out for attaching hardware cloth. We used most of the 100' roll, but next time we would use less. I got the roof in place just as the drought broke. The Fancy Brooder Cage was formerly the Chicken Jail. Before that it was a dog crate. We lined the lower half with cardboard to contain the sand. 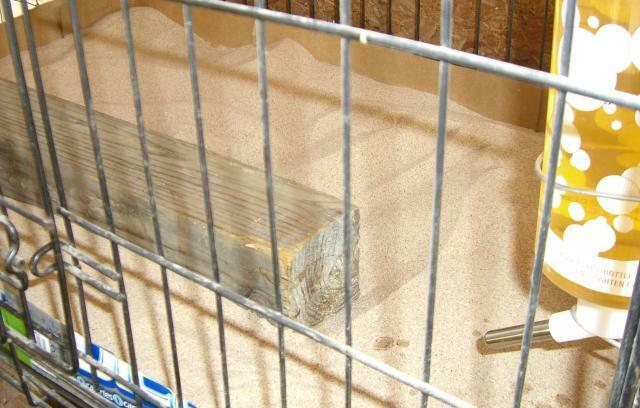 We equipped the cage with a chick feeder, a bottle waterer, and a little wood roost. As you can see, the cage earned the Broody Hen seal of approval. Nice coop. Needs more description of inside and the build. 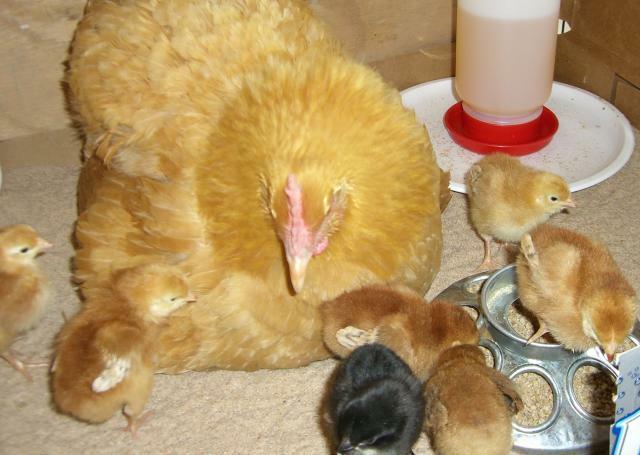 What a gorgeous hen and her cute little babes!